Prototype: German Federal Railroad (DB) class 218 general-purpose locomotive. Diesel hydraulic locomotive with electric train heating. Original paint scheme from early Era IV. Used for passenger and freight trains. Model: The locomotive has a die-cast metal frame and body. It also has a digital decoder for DCC, Selectrix, and Trix Systems, with automatic system recognition; this decoder can also be used in conventional operation. The locomotive has a powerful, compact design C-Sine motor, centrally mounted. 4 axles powered through cardan shafts. The headlights are maintenance-free, warm white LED's, they will work in conventional operation, and can be controlled digitally. The lights at locomotive end 1 and 2 as well as the acceleration and braking delay can be controlled digitally with DCC or Trix Systems. The locomotive has separately applied metal grab irons on the sides and ends. It also has detailed buffer beams and NEM coupler pockets. Length over the buffers 189 mm / 7-7/16. This model is available as item no. 22218 with sound and as item no. 22219 without sound, with different road numbers. 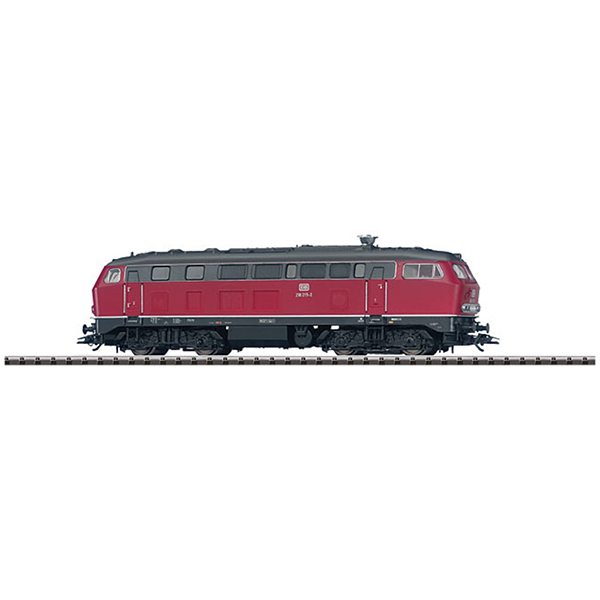 These locomotives are available for 3-rail AC from Marklin under item nos. 39180 and 39181.